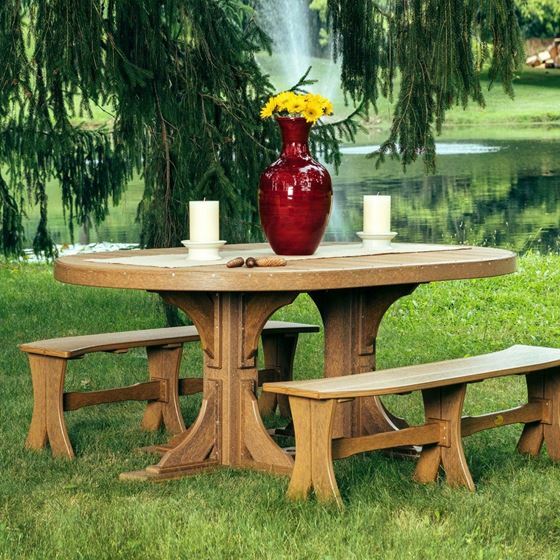 The 4’x 6’ Oval Table is large enough to seat six guests comfortably and works well with any of our LuxCraft dining chairs or benches. Select the option that works best in your environment, and then enjoy your dining companions! Standard with Umbrella Hole and Umbrella Stabilizer Block to prevent your umbrella from twisting and turning on days with a nice summer breeze.